To compare the HomePod and Sonos One we ran both speakers through a variety of tracks to see which came across better. When played on the Apple HomePod, the automatic bass correction here helped give this song a bit more punch than it usually has. In comparison, the sound coming out of the Sonos One was - overall - a lot more more balanced, with the both the vocals and the more subtle background melodies coming across with more clarity. It sounded much cleaner. Again, the automatic bass correction and studio-grade dynamic processing on the HomePod gives the sound a really compelling crispness to it. By contrast, the Sonos One didn’t quite pack the same degree of brassy punch, but it delivered a really compelling soundscape nevertheless. I’ve listened to the soundtrack for The Last Jedi quite a bit since the movie landed in cinemas late last year and it came across with a really cinematic level of clarity coming from the Sonos One. This quality was most pronounced during the quieter melodies of first half of the track. The HomePod's take on things was a little weaker by comparison, although it absolutely managed to deliver the goods when it came to the thrilling swells of the latter-half of the track. Both sets of vocals in this song sounded really crisp and clean when played on the Sonos One. There’s a real verve or hum to it that left the air practically humming and captured the energy of the track really well. In contrast, the HomePod delivered a more bassier rendition that definitely had its charms but didn't quite manage to eclipse those of the Sonos One. Look, to be honest, there's a good chance your mileage is going to vary here based on both your music taste and the environment in which you set up either speaker. That said, based on our side-by-side shootout experience with both products, we’d go with the Sonos One. There’s a lot of marvelous and exciting audio engineering at work behind the scenes with the HomePod. I am super into and appreciate of all the technical stuff that HomePod is doing whenever it plays music but in a pinch I’d easily pick the Sonos One over it for audio quality. Since you can buy two Sonos One speakers for close to the asking price of the Apple HomePod ($600 vs $500), it makes a weird sort of sense to see what two linked Sonos One speakers sound like compared to the Apple HomePod. In terms of the amount of setup involved on Sonos’ part here, connecting two Sonos One speakers together was really minimal. We just plugged our second speaker in, went to the "Room Setup" section of the app and hit the "Stereo Pair" button. A short software update later, we were ready to go. Once we had the two speakers set up, we threw them and the HomePod against one another for another head-to-head comparison. However, this time, we shook things up a little. Rather than play the same four songs. We opted for the the theme song to to Guillermo Del Toro’s robots-vs-Kaiju film Pacific Rim. Yes, I'm very excited for the soon-to-be-release Pacific Rim: Uprising. No, I won't apologize for it. Giant robots are great. Anyway, on the HomePod, the guitar riffs and brash horns of the main theme (composed by Ramin Djawadi and featuring Tom Morello) came across with a really compelling sense of energy. Like the buzz you get from the main Avengers melody at the end of the most recent trailer for Infinity War, it sounded just real slick and evocative. However, by contrast, listening to the same track on a matching set of Sonos One speakers was something else entirely. It made me want to track down a Sonos Playbase and rewatch the whole movie again. You could really pick out every detail that the (awesome) song has to offer. Finally, it felt like the delicious guitar theme behind one of my favorite movies sounded as good just as it does in my head.Now, Apple have said that that they plan to bring a similar stereo-mode to the HomePod later this year. And for what it's worth, we were given an early demo of this feature a few weeks back and thought it sounded really good. However, until that feature gets publicly rolled out, it's tricky to do the kind of side-by-side comparison this feature demands. So stay tuned. We'll look to update this section of the article when Apple roll out the feature later this year. 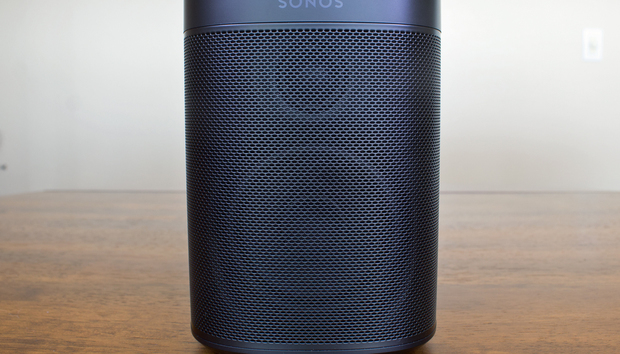 Winner: Sonos One (for now). Again, as incredible a piece of audio engineering as the HomePod is, it flat-out does not stack up against two stereo-paired Sonos One speakers. The difference here is almost as large as the difference between the HomePod and the regular Google Home and Amazon Echo product. Sonos know their stuff - and you can hear the difference. By the end of this whole endeavor, an unsatisfying truth became clear. Despite their accessible and clean aesthetics, both the Sonos One and Apple HomePod are actually gunning for very niche audiences. As we said in our original review of the Sonos One back in October, buying the Sonos One when it currently has no smarts to offer requires a certain amount of faith that both the smarts will come in due time and that the implementation of those smarts will be every bit as smooth as it is in the Google Home or Amazon Echo. 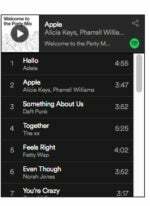 Likewise - there are over thirty million subscribers to Apple Music worldwide. If you are not one of them, and aren’t willing to cut your ties to your current music streaming service, you should probably not buy a HomePod. Both of these products sound great, but there’s a good chance that the usability concessions being demanded by both Sonos and Apple here aren’t going to be a good fit for you. That said, if you do want to know which one sounds the best - we're giving our endorsement to the Sonos One.